Amateurs DON'T GET PAID A PURSE! Let us start off with some simple definitions that anyone can look up in any dictionary around the world. One who engages in an activity as a pastime rather than as a professional; one who lacks expertise. AMATEUR IN SPORTS: An athlete who has never participated in competition for money. An athlete who is not paid for his/her performance. An athlete at the beginning learning levels of his/her career. Performed by persons receiving pay. An expert in a field of endeavor. Now that we've written the facts of these two words, Amateur and Professional, let's get into the heart of this issue. This special news piece is one we here at the IKF and ISCF (Mixed Martial Arts Sanctioning Body) have been working on for some time now. It's a very important issue for us as well as the overall growth of the sport of kickboxing, Muay Thai and mixed martial arts around the world. We've been back and forth as to how to present this issue to all of you and to make sure we don't offend anyone. We've decided "This Time" not to put any names in this article since we would like to set the record of fact straight instead of pointing any fingers at anyone. We say, "At this Time" because if we continue to encounter the problems we have in the past with this issue, we may be forced, for the future growth of the sport, to start pointing fingers at certain trainers and fighters who continue to abuse these 2 words, Amateur and Pro. Not only are they abusing the actual definition of "Amateur " and "Professional" in the sports of kickboxing, Muay Thai and Mixed Martial Arts, but these amateur fighters and trainers who ask for money to fight also make the business of promoting more and more expensive for promoters. True, without fighters there would be no promoters. But it works both ways. Without promoters, the fighters would have no fights. If a Promoter cannot afford a Professional fighters purse or he/she has met his limit as to what he wishes to spend on fight purses, he surly isn't looking to add to his expense list a purse for an amateur fighter. Why should he? Not to mention the expense of some athletic commissions for pro promoters licenses and other fees related to Professional Promotions. Unless you've promoted, you have no idea how expensive promoting can be. Many people do what we call "Spectators Math." What we mean here is the spectator who goes to a promotion and looks around, counts 500 people at $20 a head and truly believes a promoter "Profits" $10,000.00. What they fail to calculate in is the expenses of an event. For example, the venue rent of $2,000+, venue insurance of $500.00, fighters insurance $1,500.00++, hotels for fighters $500.00, $1,500, ++, Judges, Referee, Timekeeper etc. $1,500.00... $3,000, ? ?, event advertising, $1,000, $3,000, ++, fliers and posters $500.00, $1,500 ++, event security $500.00++, ambulance $600.00++, travel expenses for fighters coming in $500.00, event programs $500.00 +++, special event license $250.00+++ and before you know it, the promoter already has $5, 10, 15, $20,000.00 PLUS into the event and we haven't even got to Professional fighters Purses. So if we have for example 4 Professional fighters, making $1,000.00 each, there goes the whole event income, and where is the pay for the promoter who took months planning the event? Who cares about sanctioning fees at this point. They lost their rears! Now, when an amateur wants to be paid? Imagine how much more money a promoter stands to lose... So where are all those people now who think the promoters make thousands of dollars in profit? We can support a promoter paying a trainer or a gym a percentage of the tickets they sell. It's only fare if they have fighter's that are big draws or are assured to sell a lot of tickets to their gym, friends and family. This is better yet for the trainer/fighter if they don't have their own promoter to promote them. So now with that foundation put down, lets express more of our reasons for this article. As noted above, again, we won't mention any names here but lets just say that we had a fighter from Southern California pull out of the main event title bout 3 days before one of our sanctioned events because he wasn't going to be paid to fight. He and his trainer were going to get travel expenses, but the promoter was not going to pay him for fighting. HE WAS AN AMATEUR! It was an AMATEUR event and an AMATEUR bout! Obviously the promoters lost a great deal on the event since they had been building the main event up with the hometown fighter who was the local favorite for the main event. Does this sound familiar to any promoters out there? Of course it does. Amateur DO NOT GET PAID TO FIGHT! That's the bottom line FACT! If you want to get paid, it's simple, TURN PRO! In addition to this, the IKF has taken a small amount of heat from some of the amateur fighters here in the United States about our desire for their safety in requiring them to wear headgear. We've had some Southern California promoters for example choose not to sanction with us because of this rule. Of the ones we still work with, they have informed us that they've had problems getting fighters to agree to use the headgear. Many of these fighters want their face to be seen or claim they don't even wear headgear when they spar in the gym. Other reasons include a fighter saying it blocks their vision, it's too heavy etc. etc. We've heard many reasons why amateurs don't want to wear headgear. However, we can say that across the United States, 90% of the amateur fighters we deal with have no problem with wearing headgear, especially after hearing our logical reasons for it. Many praise us for making a stand in the name of fighters safety. A praise we are proud of. On the other hand, one of the main reasons a lot of amateur fighters got away from wearing headgear has been promoters. Again, were not pointing fingers here but the fact is, many promoters out there want the fights on their events to appear as Professional Kickboxing, Muay Thai or Professional Mixed Martial Arts. The crowd knows no better and they truly believe they're watching Pro fights. When a fighter wears headgear, their status as an amateur is clear. A promoter here on the West Coast that started this trend years ago did so to be able to offer better TV fights. The audiences watching TV like the live audience at the events don't know whether these fighters are amateur or professional and if it's an amateur bout, you NEVER hear the announcers saying it is. For this reason, these promoters and the sanctioning organizations they work with believe "It just looks better for TV and sells for more money." True. 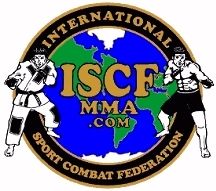 But again, we here at the IKF and the ISCF are more concerned for a fighters safety and the future of their fighting careers. We like to look at the long term picture and not the short gain. In amateur boxing, 90% of all event promoters NEVER PAY a fighter and trainers for any travel fees. In amateur Kickboxing and or Muay Thai, 90% of ALL event promoters DO PAY a fighter and trainer travel fees. In amateur boxing, headgear is mandatory around the world. In amateur Kickboxing and or Muay Thai, headgear is mandatory for beginners with under 3 bouts in the IKF. Only 2 other sanctioning organization in the world, IFMA (International Federation of MuayThai Association, The Amateur division of the WMC, World MuayThai Council) and the PKC (Professional Karate Commission - who sanctions amateur bouts as well) require amateur fighters to wear safety equipment as beginners. In IFMA, MuayThai fighters not only wear headgear but shin pads, elbow pads and chest protectors. IFMA is the Largest Amateur MuayThai organization in the world. Each year, they host the largest World Amateur MuayThai Tournament in Thailand. On an average over 70 countries compete each year and all the fighters wear safety equipment. Amateur Boxing and TaeKwonDo (Who wear safety equipment and who's fighters do not get paid as amateurs) are both an Olympic Sport. Amateur Kickboxing and or Muay Thai has been refused by the Olympic Committee in the past because of the lack of worldwide organization and lack of mandatory safety equipment for the amateur fighters. In amateur boxing, all fighters are required to follow club/gym safety rules which include all fighters must ALWAYS wear headgear when sparring. In amateur and pro Kickboxing and or Muay Thai training, nearly 30% of the fighters do not wear headgear when sparring in the gym. In amateur boxing, fighters do not get paid! In amateur Kickboxing and or Muay Thai, approximately 30% of the fighters request to be paid. The percentage goes up even more in regards to Muay Thai and Leg Kick (International Rules) fighters. In boxing, over 70% of all amateur fighters turn to successful pro careers after LEARNING the sport as a protected amateur. In Kickboxing and or Muay Thai, less than 20% of all amateur fighters ever move on to a pro career. WHY? One reason, they took a lot of punishment with no headgear and never really had a chance to LEARN the sport of fighting while being protected from head injuries. Or another reason is because they can get paid to fight as an amateur and fight more often with less experienced opponents. Why turn pro when you can do it all as an amateur. Including winning a world amateur title in some organizations against the fighter across town. In boxing, nearly 60% of todays fighters started their amateur careers in protected safety equipment between the ages of 12 and 14 years old. In Kickboxing and or Muay Thai, over 70% of all fighters STARTED their amateur careers at the age of 17 OR OLDER, without wearing headgear in their first bout if ever. In the other 30%, some started as young as 15 or 16 and as old as 35. There are growing numbers of amateur kickboxers now starting as young as 8-12 years old. Starting at this age provides a chance for the younger fighters to learn the sport (As in amateur boxing) so that when they reach their prime fighting age of say 20-25+, they have had a great amount of ring experience in the sport. The push for younger kickboxers has been growing more and more each year since the inception of the IKF Junior Amateur Kickboxing and Muay Thai program. When an amateur boxer turns pro, over 60% of them have over 40 amateur boxing bouts. Of those Kickboxing and or Muay Thai fighters who do decide to turn pro, over 70% of them have less than 15 amateur bouts. Amateur boxers out-number amateur Kickboxing and or Muay Thai fighters 100-1 around the world. Let this fact speak for itself and the results here were close to the same in every state we checked in the United States. In 1999, in the state of California last year there were 445 registered Pro boxers. In 1999, in the state of California last year there were only 37 registered Pro Kickboxing and or Muay Thai fighters. In every state we checked that has an athletic commission and keeps such records, Pro BOXERS out number pro Kickboxing and or Muay Thai fighters a minimum of 10-1. So enough of comparing amateur Kickboxing and or Muay Thai to amateur boxing. What we're trying to say here is that for years, many have been working the sport of Kickboxing and or Muay Thai with the same ol tune. Well as many of you know, with the IKF, "The Game Has Changed!" It's clear that we've made some big changes for the sport because we're looking at the long run. The BIG PICTURE of the Sport! A NEW GAME! We want to offer amateur fighters a safe venue so they can properly learn the sport as a beginner. Then when ready, we want to offer them something greater than the old game has offered them. A reason to turn professional and get paid well for their hard earned skills instead of staying an amateur. Professional Kickboxing and or Muay Thai purses are the same if not less now then 20 years ago, yet no one has pushed to improve the value of the sport for the long run. Too many organizations are in it for the quick buck instead of investing for the long haul. It's going to take time, but we here at the IKF are willing to invest the time and energy to Change The Game! That's why our televised events and other forms of public exposure to the sport are so important. Plans such as our IKF Kickboxing and Muay Thai documentary videos, IKF Instructional video, books and magazines of the sport just to list a few examples. Not to mention our future plans for movies that those of the sport can be a part of. Yes, we're organizing big changes for the sport and a much brighter future for everyone, Not just the IKF. Remember, we think TEAM! A great future for the fighters as well as the trainers and the promoters. With a stronger media base and more sponsorship money available, the more financial support we can offer to gyms, trainers, fighter purses and promoters expenses. We may have to suffer in the beginning stages of the New Game with those who wish to work against the issues we've presented such as our firm stand on amateurs not getting paid to fight and our amateur headgear rule. However we can assure those who stand with us now will surly stand tall in the future. Someone needs to Change this Game because every organization before us hasn't improved it much. Only improved their own financial pockets. We want everyone to succeed with us. Again, Remember, we think TEAM! Now don't be sold by our words or let our press influence you. Talk is Cheap and many others have proved that in the past. Keep an eye on the IKF and watch for yourself. Let us prove to you we'll follow up what we say with ACTION. We only plan to do one thing... "Walk the Walk!" So we hope your already a part of the IKF or the ISCF TEAM when we prove this to everyone. If not, the game will surly pass you by because you will wake up one day and surly see that..., The Game Has Changed! Back To ISCF HOME PAGE, Click HERE.